There are three types of accumulation conveyors: zero pressure, zero contact, and minimum pressure. 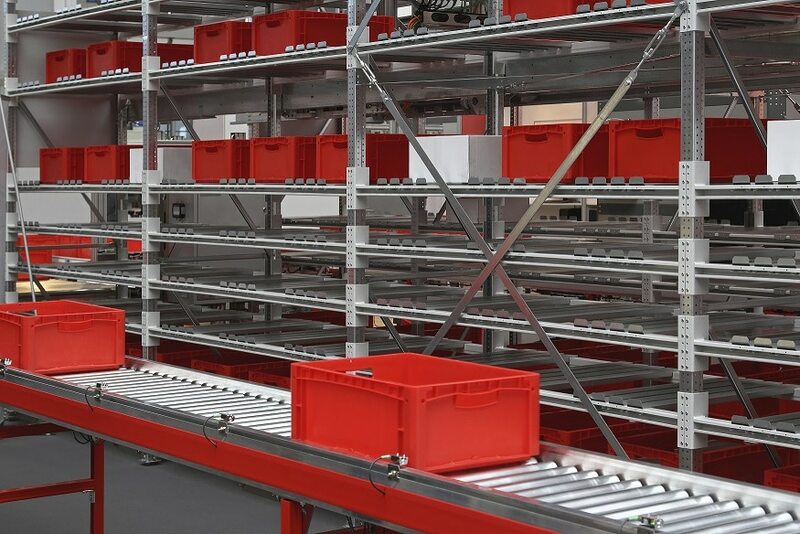 Accumulation conveyors move loads from point A to point B, allowing them to accumulate when necessary to allow time for equipment or other material handling resources to become available down the line. Once these resources become available, the system gives a signal to release the next queue of products. This ability to slow down or speed up processes at different points within the same operation makes accumulation conveyors very effective for high throughput operations. Zero pressure accumulation conveyors allow for light contact between products when the system signals that queue to accumulate. Once these products come into contact, the system stops the moving pressure so that products are gently touching but at rest. This type of conveyor is typically made up of photo-electric sensors and on-board zone logic to control this movement. Zero Pressure Accumulation Conveyors are ideal for operations with a wide variety of product sizes. Zero contact accumulation conveyors leave space between products when the system signals a queue to accumulate. This is typically accomplished by dividing the conveyor into zones that each hold one item, the item being smaller than its designated zone. Zero contact accumulation conveyors are ideal for operations with products that are not suited for pressure, such as fragile items. Minimum contact accumulation conveyors allow for light contact between products when the system signals that queue to accumulate. Unlike zero pressure accumulation conveyors, this type of conveyor maintains a light but constant drive force on products waiting in accumulation. These conveyors are typically belt-driven roller or modular plastic conveyor belts. 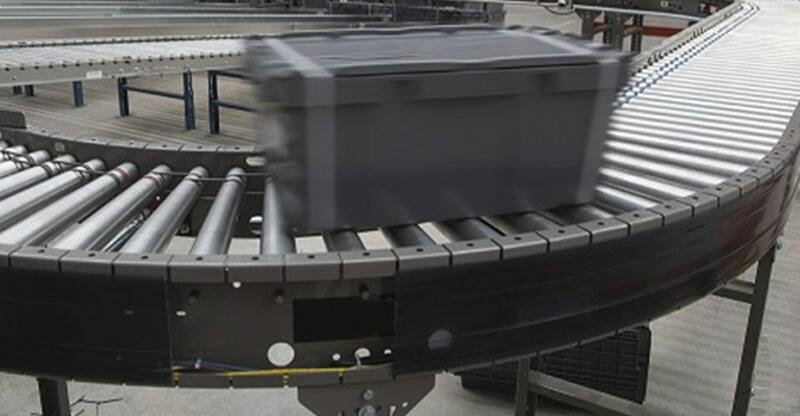 Minimum contact accumulation conveyors are ideal for transporting products of consistent size in operations that require only short sections of accumulation. These conveyors should be avoided for transporting fragile products.